Please note that above price is subjected to change and is for reference purpose only. Kindly contact Maruti Suzuki Nepal to get the latest showroom price. Note: Suzuki car price list was last updated on February 12, 2019. Maruti Suzuki cars in Nepal are distributed by CG Motocorp, which is the automobile division of Chaudhary Group (CG). CG Motocorp has been in automobile business since 1980. They are the authorized distributor of Suzuki Motors Corporation (Japan) and Maruti Suzuki India Ltd. With each passing year, it has grown from its strength to strength, positioning it as one of the leading automobile distributor in Nepal. CG Motocorp has extensive reach throughout the country through its dealers, sub-dealers, outlets or service centers. It employees best of the staffs and human resource for prompt and above par after sales services. It’s quite easy to get spares parts at numerous of its service centers with excellent maintenance facilities. The company launched CG | Next Gen at Sanepa in 2016, which is its new of kind premium sales channel/showroom. It’s main motive is to go beyond selling cars and create a new format of retail experience for the customer. 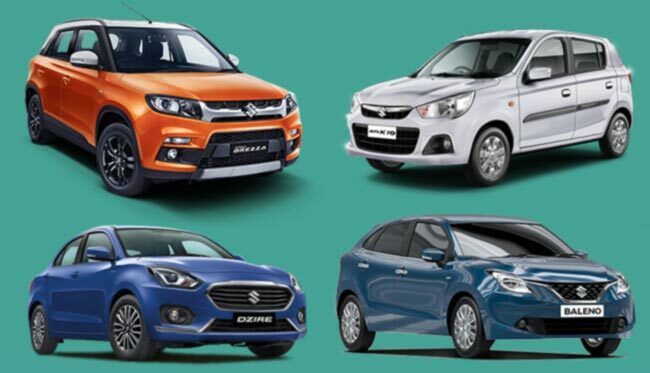 Currently, CG Motocorp sells new generation of Maruti Suzuki cars in Nepal which includes Alto, Baleno, Celerio, Dzire, Ignis, K10, Swift, Wagon R and its popular compact SUV i.e. Vitara Brezza. Apart from that, it sells Omni van, Eeco van and Super-carry. It has all range of cars from economical small cars to mid-range cars. Recently, CG Mortocorp has launched New Suzuki Swift which has enhanced performance, high fuel efficiency and high value for money. This makes it ideal for Nepali car market and customers. Maruti Suzuki car starts at price of Rs. 16.79 lakhs in Nepal and goes upto Rs. 42.29 lakhs. You can find the contact information of Suzuki Nepal i.e. CG Motorcorp below. Or you can message us your queries regarding Maruti Suzuki car price in Nepal or its specifications at our Facebook page.